When Lefty Kreh and Bob Clouser get together on a fly pattern, you know it's gonna be good! This modern pattern is a combination of two classic flies; the Clouser Deep Minnow and the Lefty's Deceiver. 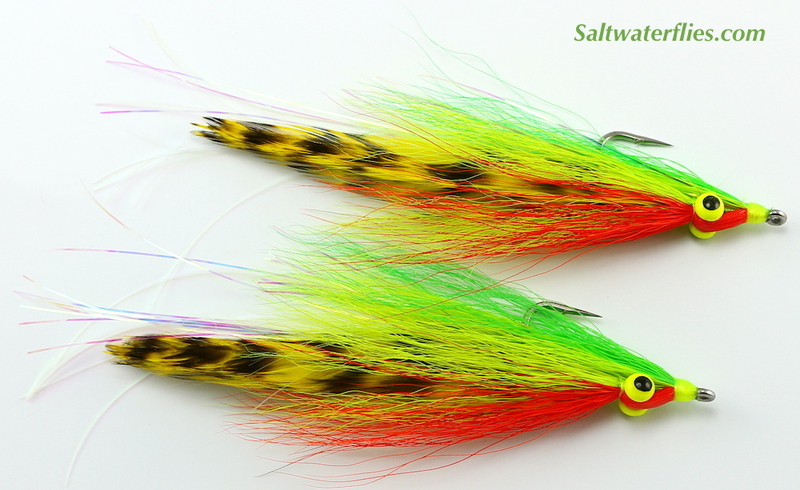 With the profile of the classic Deceiver, and weighted eyes providing a jigging action and getting the fly down to the level of the fish, this fly will attract solid strikes from all sorts of gamefish. Fishing the Half & Half: Great for fishing structure in rocky areas, as well as in open water. The "Fire Tiger" is a proven color pattern for Peacock Bass. Try a variety of retrieves until the fish respond. For species like Striped Bass, try a fast strip/pause retrieve at first, but don't hesitate to try a steady two-handed retreive which can also produce results. For fishing rips and deeper water, cast the fly across the current, then let the fly swing into holding areas. 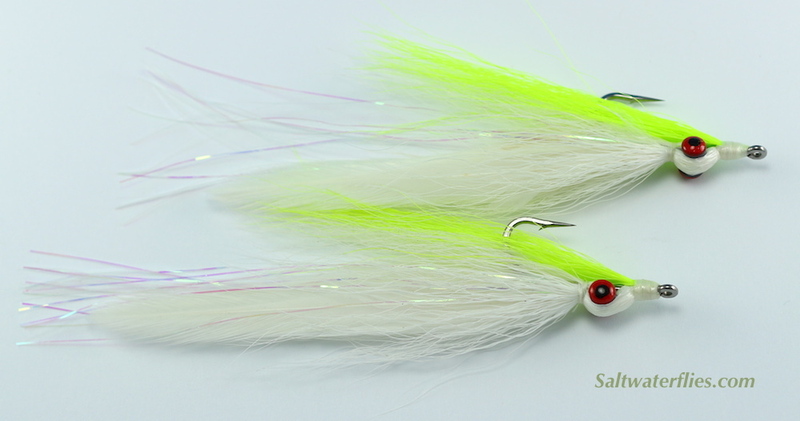 Always be ready for the strike; this fly has produced some heavy fish for anglers in the past.